Being a well-established organization, we are engaged in manufacturing a distinguished range of Vertical Turning Lathe Machine. With an impressive growth record in this highly competitive industry, we are providing a qualitative range of Turning Lathe Machines. By utilizing skills of our dexterous workforce, we are offering a comprehensive assortment of Feed Gear Box Mounted On Main Slide With Rapid Travel. Made available in clients detailed specifications, our offered product is strictly tested on numerous parameters of quality by our adroit quality experts to assure its quality. 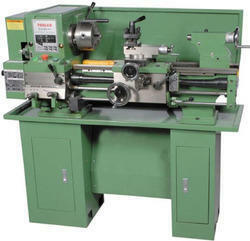 Innovation is our forte and we strive to design and develop Lathe Machine Taper Turning. Made up of corrosion & impact resistant metals, these products are in compliance with the industry standards. Our professionals ensure that only defect-free range is delivered at the customers' end within the promised time. 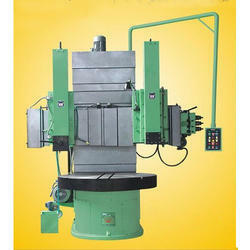 We are instrumental in offering the finest quality of Vertical Turning Lathe Machine to our valuable patrons.